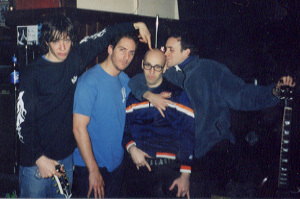 more stuff about ok go because it’s my blog and i say so. Just for the record I think all of these videos rock. Not only do I think they rock, I think they will rock you. In fact, I think if you watch them you will think they rock and therefore you will also rock. Watch them. Watch them as soon as possible. Then watch the rest of the OK Go videos on the site. Then go immediately out and BUY THEIR ALBUMS. OK Go – Do What You Want (Wallpaper Version) from OK Go on Vimeo. Actually, while we are on the subject of videos and bands, why not read this: An Open Letter from OK Go. And, in case you didn’t get the hint from the post I did the other day, go to their website and check their touring schedule on a regular basis because nothing in the world rocks like these guys do when they are on stage. Seriously, you will not regret it. Tomorrow – even more OK Go stuff. Mostly the videos I took at the concert yesterday. I know you will all come back as soon as possible now that you know what is on the docket, but let me stress the fact that you will not expect what is coming. Maybe put two pairs of socks on tomorrow because my post (and these guys) are going to rock the first pair right off. 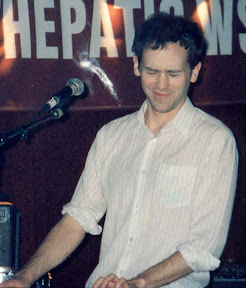 On October 21st 2001 Alison, Sarah and I went to the Odeon in Cleveland, Ohio to see They Might Be Giants. Little did I know that this would be the start of a (so far) 9 year long addiction. If I had known then that the opening band would grow to be one of my favourite bands of all time perhaps I would had left the show before they came on stage. I would have missed out on a lot, though. I would have deprived myself of some of the best memories of my youth. Who could I possibly be talking about? OK Go: A fairly unknown, unassuming and deliciously talented foursome masquerading as everyday musicians. I am not sure whether it was their wonderfully catchy songs, their (let’s face it, undeniable) gorgeousness or their cover of “Kiss Me Son of God”, a song by the headlining act. Imagine the opening band covering a well-known song by the headliners! Very, very awesome! There was also another cover song involved and, I am going out on a limb here, I think it was “Crimson & Clover” by Tommy James and the Shondells. I was hooked. Mostly Alison, Sarah and I were glad because we had tickets to see They Might Be Giants again a few days later at the Newport and were thrilled to death that the opening band weren’t awful. I had no idea I would get so addicted! What hooked me for life? They were all extremely nice. I mean, apart from their almost manic insistence that we SIGN THE E-MAIL LIST!! They were funny and when we talked to them they listened. They took our advice that they should cover Rick Springfield’s “Jessie’s Girl” because if there was ever a song written to be covered by OK Go it is “Jessie’s Girl”. It was bizarre. So the night after the show in Columbus we drove to Pittsburgh to see them at Club Laga and it was the beginning of the beginning. Over the last 9 years I have seen them in concert 46 times (27 times in 2002 alone), and tonight they are playing the ABC in Glasgow which will make 47. I have never once been disappointed. I have never once regretted my decision to drive however long/far to get to their shows, not even the time in Indianapolis when the show was 21+ and I was too young to get in. 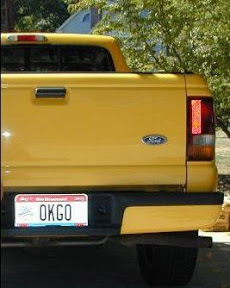 I have personalised number plates on my truck in Ohio that say OK GO. Somewhere in my Mom’s house I have four posters, one with each of their names on it, from after the Loyola show when Jorge lined them up on the bleachers to take pictures. I’ve been there for the infamous e-mail list phase, both Andys (Duncan and Ross, equally awesome), their horn player phase (very cool) and their sound engineer with the “patented eyeball test”. I have been to shows on tours for all three of their albums. I’ve seen broken guitar strings, broken instruments and even a broken leg. I have seen them play 11 different cover songs and the scene from Les Mis. I have even been lucky enough to hear them play “The Unrequited Orchestra of Locomotion”. I miss seeing them do “Women & Men” which was a rap song and totally unforgettable. I have seen two dances added to the repertoire, neither of which was anything less than spectacular. I’ve seen them play in nine different states and three different countries. I’ve travelled over 18,000 miles (roughly) to see them in concert and I have even seen them play a gig with no power at all. Women & Men, what a magic combination! Every show I have ever seen has been surprising. Every song they play sounds better every time I hear it. Every time I see them there is something brand new, even if it’s only been 24 hours since the last show. They have always kept me guessing. Even now every time they post a tour I check to see if there are any shows near me. I think if I were still living in the US then I would be on the road a lot more. There is just something about these guys on stage that is utterly indescribable. They were all born to be performers, but what strikes me as fantastic is each of them could quite easily be anything else in the world. But all of that is so far beside the point! The main point I want to make is that they’ve always been so nice! They never needed to be nice; I still would have gone to their shows (see above: addiction). I’m sure there were times when it was difficult to be nice to me (did I mention the year I saw them live 27 times?) They could have been like any number of bands out there who take their fans for granted but they never have and that is the most important thing. They get more popular and more famous every time I see them but they always have time to hang about and meet their fans, shake hands and sign autographs. It is fantastic and very much appreciated. So, thanks guys. Thanks for making such great music and thanks very much for making it worth my while. 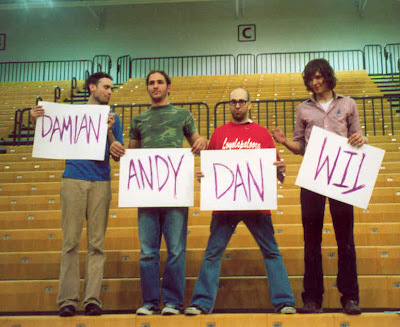 The night in Toronto when I wore my velcro letters t-shirt (honestly I am so cool) and had it read “SO DAMN HOT” which wasn’t good enough for Dan who re-arranged them to read “M DAN SO HOT”. Fantastic. The night at King Tut’s when the power was out but the boys sang from the steps of the building next door until the police came. Then they did their dance to “A Million Ways” with Tim and Damian humming and bopbopping along. Quite possibly the best thing I have ever seen them do. 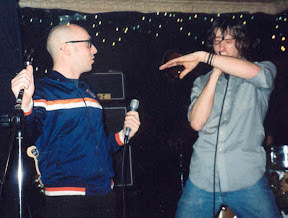 The show at 7th Street Entry in Minneapolis when I played air hockey with Dan. Erin and I had given an ill-advised lift to a fellow fan who had been at the Loyola University show a few weeks prior. She drank a lot of tequila. The show at Modern Formations in Pittsburgh. Any one of the times that Damian and Tim enacted the scene from Les Mis: absolutely some of the most entertaining minutes of my life. The show at Fireside Bowl in Chicago which was amazing for so many reasons: It was in a bowling alley. There was an ancient Asteroids video game there that was receiving messages from the Mother Ship and intent on taking over the world. It was in a bowling alley. I haven’t had much of a chance to listen to their new album, since it was only released a week ago, but I am sure there will be some favourites from that as well. Their new video is great, though, I know that. Do yourself a favour: Buy their albums. Even more than that, though, go and see them live. You will not regret it. If you can’t manage either of those at least go and watch their video for “Here It Goes Again” at their website. It’s phenomenal. Also, while I am handing out thanks, I would like to thank the guys for introducing me to Longwave, another band I really like. Also for playing those shows with Phantom Planet.